My latest article—an opinion piece—just came out in Museum magazine (January 2014 issue). In it, I talk about a variety of initiatives that extend science education/communication beyond the walls of museums. 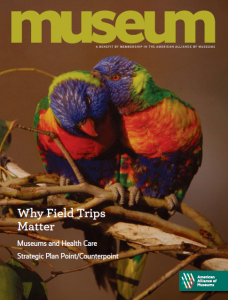 The digital edition is available to members of the American Alliance of Museums. Previous PostImproving museum education: get big or get out?